This is a darling dress for the holidays! 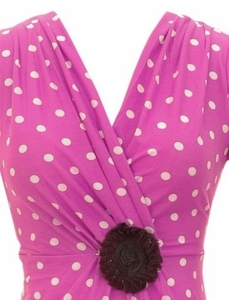 Look classy and elegant in the lightweight Vintage Style Polka Dot Dress.Vintage Style Polka Dot Dress suitable for any occasion. Charmingly crimson, with a flexible material that caresses your curves, this dress is perfect for holiday occasions and family gatherings.